Thanks Melvin for Commenting to my Post! Greatly Appreciated. Hi I Decided on Hasson and Wong.Whos Better Dr Hasson or Dr Wong?? Thanks for the Input Home1212,I contacted them Today and did a Online Consultation,Waiting to hear back from them.Thanks! Who's Some of the Best Hair Transplant Doctors for the Crown Area only and getting the most Coverage in one session? Thanks everybody for the info and advice! After reading your posts, I have decided i am ready to travel to get the best hair transplant i can get.Anymore sugestions on the finest hair transplant doctors out there?I am sooooo glad i came across this website.Thanks. Hi thanks,thats is some great advice. 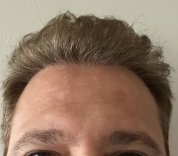 Hi any info and advice for a hair transplant here in indianapolis?I went and had a consultation with Pai Medical it went well.They use the Multi-Unit Hair Grafting.Does anybody have any info or experince with this company?Thanks! for the help.